What are the legal elements required for an activity to be regarded as gambling? The legal requirements for conducting gaming activities involving bets are provided for in the Gambling and Raffles Federal Act (the Law), which became effective in 1947, and the Regulations of the Gambling and Raffles Federal Act, effective since 2004, and its amendments (the Regulations). Article 1 - Gambling and games with bets are forbidden throughout the national territory, under the terms of this Law. I - The game of chess, checkers and other similar ones; dominoes, dice, bowling and billiards; those ones with the use of ball in all its forms and denominations; the races of people, vehicles or animals, and in general all kinds of sports . . .
Any other game not indicated shall be deemed as prohibited for the purposes of this Law . . . The aforementioned provisions contain a general prohibition of carrying out gambling and bets, except for those expressly indicated in article 2 of the Law. Moreover, the games indicated in article 2(I) mostly refer to ‘skill games’, and those mentioned in article 2(II) refer to gambling. raffles through mass communication (gaming online). Based on various precedents issued by our highest courts, draws have as a main feature chance, with games of chance being understood as those in which the result does not depend on the skill or dexterity of the players, but exclusively on luck or random occurrence. In contrast, skill games are determined, preponderantly, by the skill or dexterity of the players; however, both skills and gambling share the essential characteristic of the uncertainty of obtaining a favourable result. Therefore, it can be said that the intention of the lawmaker was the consideration of games as those recreational activities in which the result is determined mainly by the skill or ability of the players. On the other hand, raffles are identified as those games where the result is exclusively confined to luck. With respect to remote or other cross-border activity, where is the wager deemed to take place? Any activity carried out by the licensee or the operator based on the permit granted by the Ministry of the Interior, the Gambling and Raffles Bureau (SEGOB), whether the establishment is in physical or remote locations, must be understood to have been carried out in national territory for regulatory and tax purposes, among others. Consequently, the permit holder and the activities must comply with the applicable laws and the payment of the corresponding taxes and, therefore, subject to sanctions in case of non-compliance. What is the minimum age for participating in lawful gambling? In accordance with article 5 of the Regulations, under no circumstances may minors participate in making bets. In Mexico the legal age of majority is 18. What are the penalties for offering unlawful gambling? It is the responsibility of SEGOB to regulate, authorise, control and supervise the permitted games when there are bets of any kind. SEGOB is also responsible for the regulation, authorisation, control and surveillance of gambling. If a person is caught carrying out games with bets without having the permission issued by the regulatory authority, it shall be understood that it is an illegal activity. According to article 12 of the Law, a prison term between three months and three years and a fine of between 500 and 10,000 pesos will be imposed on the owners, organisers, managers, administrators and players involved where forbidden gambling and bets take place, as well as others who participate in any way. Accordingly, article 13 of the Law sanctions imprisonment of between one month and two years, and a fine of between 100 and 5,000 pesos for those who rent a place for forbidden gambling and bets, or practise raffles without the permission of SEGOB; or attend a place where unlawful gambling takes place. In addition, based on article 14 of the Law, the tools and objects used on illegal gambling, as well as the goods or money, will be subject to confiscation. On the other hand, article 4 of the Regulations states that the venues, open or closed, in which illegal gambling or gambling without the appropriate permit is carried out will be immediately closed down by the authority. Likewise, based on article 151 of the Regulations, in the case of serious infringements of the licence, the revocation of the permit will be ordered, and, where appropriate, the establishment will be closed down in cases that do not comply with the terms and conditions established in the permit or the Law. Does the law penalise the gambler directly for participating in unlawful gambling? Accordingly, article 13 of the Law states that a person may be sanctioned with imprisonment of between one month and two years, and a fine between 100 and 5,000 pesos, among others, for attending a place where unlawful gambling takes place. Are there exceptions for social gambling, or charitable or non-profit gambling? According to article 12 of the Law, those who organise raffles among friends and relatives only are not included in the prohibition it establishes. In other words, in this case a permit granted by SEGOB will not be required. Similarly, article 15 of the Law sets forth that the foregoing provisions or prohibitions do not include games that are held in private homes for the sole purpose of entertainment or occasional pastime. These games should not be practised regularly and people who have no family relations or close social relationships with the owners or residents should not be allowed in the home for them. What entity regulates land-based and remote gambling, and what are the regulator’s powers? In terms of article 3 of the Law, SEGOB is the state executive power responsible for the regulation, authorisation, supervision and enforcement with regard to gambling and raffles activities when gambling with bets of any kind is involved. SEGOB is responsible for the regulation, authorisation, control and surveillance of the games when there are bets of any kind, as well as draws, with the exception of the National Lottery for the Public Assistance (LOTENAL), which is owned by the government and has its own law. These powers are confirmed in article 2 of the Regulations, which establishes that SEGOB is responsible for the administrative interpretation and application of the provisions of the Law on the matter. Are gambling licensees considered financial institutions for purposes of anti-money laundering and similar financial services regulatory requirements or are they otherwise subject to such requirements? The permit holders are obliged to follow and comply with the Federal Laws on the Prevention and Identification of Transactions with Funds from Illegal Sources, the Regulations to the Federal Law on the Prevention and Identification of Transactions with Funds from Illegal Sources, the General Rules referred to by the Federal Law on the Prevention and Identification of Transactions with Illegal Resources and the Resolutions by which the registration and notice forms for those carrying out vulnerable activities are issued. Article 17. For purposes of this Law, the activities listed as follows will be understood as Vulnerable Activities, and therefore, object of identification, in terms of the following article: . . . I. Activities associated to the practice of betting games, contests or lotteries carried out by decentralized organisms in accordance with the applicable legal provisions or carried out under the licenses in effect granted by the Ministry of the Interior under system established by the Federal Gaming Law and its Regulations. In these cases, only in the event the same are carried out under the following modalities and amounts: . . . The sale of tickets, chips or any other kind of similar receipt for the practice of such games, contests or lotteries, as well as the payment of the value representing such tickets, chips or receipts or, in general, the delivery or payment of prizes and the realization of any kind of financial transaction, either carried out individually, or through a series of transactions that appear to be related among themselves, with the people participating in such games, contests and or lotteries, even though the value of any of these transactions is in an amount equivalent or higher than three hundred and twenty five times the minimum wage in effect in Mexico City . . . .
What types of land-based gambling are permitted in your jurisdiction, and is gambling regulated at a national or subnational level? All authorisations to conduct games with bets are granted by SEGOB, and all kinds of permits related to the operating licence or use of land for gambling purposes are granted by the local authorities. It is common to find in the authorised establishments in Mexico all kinds of games, such as slot machines; roulettes; dice; bingo; card games in all forms, such as blackjack and poker; sportsbooks; and the operation of online gaming. However, before any betting game is carried out by the permit holder, the mechanism of the operation of the betting system, control mechanisms and rules of the games to be offered to the players, must be submitted or filed to SEGOB. Similarly, the computer infrastructure, the technological and computer security system, as well as the technical support policies to be used must be specified to SEGOB. On the other hand, not only private individuals operate games with bets, but also the Mexican government through the National Lottery for Public Assistance, better known as the National Lottery. The purpose of the National Lottery is to generate financial resources through the sale of lottery tickets in different raffles, which are then used for the creation of jobs and public assistance. Please describe the licensing criteria to operate land-based gambling of each type or classification. Does your jurisdiction limit the number of available licences? for holding any of the regulated types of raffles. to forbid the acquisition of shares of the permit holder, directly or indirectly, through trusts. Additionally, permit holders must fulfil other obligations, such as incorporating terms and conditions for better corporate practices, and holding a board of directors comprising 25 per cent independent administrators, as well as administrative obligations such as: granting and updating guarantees; adhering to local legislation, for example, by keeping inventory reports; obtaining civil protection permits; guaranteeing public safety; paying customs and taxes; and filing annual tax returns and authority reports. Must individual directors, officers or owners of licensees also be licensed or reviewed for suitability? a credit report issued by a credit information institution, duly authorised by the federal authority to evidence that no negative records or past due credits exist. The above-mentioned information must also be filed regarding individuals serving as directors, commissioners and officials acting as chief executive officers and subordinates in the requesting company. May a gambling location be part of a resort, restaurant or other multi-purpose location? What limitations apply? There is no restriction to install gambling establishments in resorts or restaurants. In fact, nowadays several establishments are located in operating shopping centres and hotels. Are there provisions for passive or institutional ownership that allow for exemption or modification of licensing requirements? 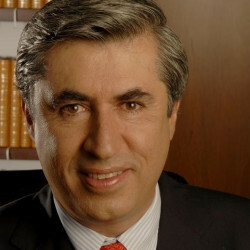 According to article 92 of the Regulations, permits for draws may be granted to: (i) dependencies and entities of the Federal Public Administration and states; (ii) national political parties and groups, which shall comply, in addition to the provisions of the Law and the Regulations, with the provisions of the federal electoral legislation; and (iii) civil and religious associations, and educational, research and charity institutions. What responsible gambling obligations apply to licensees? do not comply with the internal regulations of the establishment. What type of tax and what tax rate applies to each form of lawful land-based gambling activity? federal player withholding tax - tax to be withheld by the operator or by the permit holder in accordance with any Mexican federal law resulting from the revenue of the prizes obtained by players from their use of the website. state player withholding tax - tax (if any) to be withheld by the operator or the permit holder in accordance with any Mexican state laws resulting from the revenue of the prizes obtained by players from their use of the website. Is remote gambling permitted and, if so, what types? Online gambling operations are regulated by articles 76 to 90 of the Regulations, which establish that permit holders authorised to operate remote betting centres can receive bets through the internet, telephone and electronic means. According to article 76 of the Regulations, remote betting centres are authorised by SEGOB to capture and handle bets for different events, such as sport competitions and games allowed by the Law, carried out abroad or in the national territory and transmitted in real time and in a simultaneous manner in video and audio (simulcasting), as well as conducting drawing of numbers (bingo) referred to in paragraph IV of article 124 of the Regulations and in terms of article 85 of the Law. Such remote betting centres may capture bets via the internet, by telephone or via electronic communications. Moreover, and according to article 104 of the Regulations, in the case of drawing of numbers and symbols, it is permissible for permit holders to capture bets from participants via the internet. To this effect, permit holders must establish an internal control system for transactions to be carried out by this platform and must provide a description in writing of the rules and procedures that ensure the inviolability and prevent the manipulation of the betting systems. Therefore, permit holders must describe the type and rules of games that will be conducted, such as, inter alia, blackjack, poker in all of its forms and roulettes. What are the criteria for obtaining a licence to operate remote gambling? the date, time, number of their transactions, amount of the bets and the games. Accordingly, the systems to be used by the establishments for capturing bets via the internet must be first approved in writing by SEGOB. To this effect, the permit holder must file a description of its online betting procedures, as well as its online betting control system, to SEGOB. As previously mentioned, permit holders must describe not only their betting procedures to obtain SEGOB’s approval in terms of article 85 of the Regulations, but also the different types of games to be offered online to participants in order to avoid future challenges from the authorities regarding the authorised games to capture bets via the internet. How do the licensing criteria for remote gambling operators differ from those applicable to land-based operators? In terms of the Regulations, in order to be able to capture and conduct remote gambling, the operator must have a land-based permit in terms of article 20 and must comply with the terms, conditions, information, documents and requirements it establishes. There is no limit regarding the number of licences to be granted by SEGOB. May operators located in other countries offer internet gambling to consumers in your jurisdiction without obtaining a licence there? As previously stated, a land-based casino or an online gambling operation may not be established or function in national territory without a licence issued by SEGOB. In addition to the above, according to article 9 of the Regulations, permit holders may only carry out publicity and advertising of the games with bets and raffles authorised in accordance with the Law and the Regulations. Moreover, the advertising and promotion of games with bets and draws by any means may only be made and dispersed once the permit from SEGOB to carry out them is obtained, and the publicity must be expressed in a clear and precise manner to prevent the participants experiencing any error or confusion. May operators licensed in your jurisdiction offer internet gambling to consumers in other countries? The scope of application of Mexican legislation regarding games and raffles is restricted exclusively to Mexican territory; however, there is no restriction or prohibition in the Regulations for people abroad to access and participate via the internet in online gaming offered. In other words, the prohibition or restriction of such participation, or the implementation of technological controls will be under the jurisdiction of the other countries. What tax rate applies to each form of remote gambling? Are gambling games - land-based or remote - patentable in your jurisdiction? Computer programs (software), such as gambling games, are susceptible to copyright protection. The only requirement demanded today, both by Mexican legislation and by international treaties for the protection of any work by means of copyright, is that it has to be an original creation, excluding criteria of innovation, inventiveness, utility or even registration for its protection. Because of the nature of gambling games, these are inclined to be complemented and accumulated to the protection of other intellectual property rights, such as the brand or commercial name registration under which it is commercialised, musical works, pictures or drawings, or photographic or applied works of art that include graphic designs contained in the software. Are there limitations on how brands, logos or other types of marks may be used in promoting gambling games? The purpose of brand registration is that a distinctive sign, such as a logo, may distinguish and identify a product or service (in this case, a gambling game) or others of the same type. With this understanding, there is no type of limitation on how brands, logos or other types of marks may be granted. A separate issue is the restrictions for the promotion and advertising of the gaming activity (see question 24). What types of restrictions apply to advertising gambling games? include messages that invite people to play responsibly and with the main purpose of entertainment, fun and recreation. What types of suppliers to gambling operators require licences? As a general rule, no supplier of ordinary goods or services (such as software and machines distributors) are required to obtain any special licence or authorisation regarding the gaming industry. If applicable to its industry, a supplier of goods or services would require the licences or authorisations for its sector, depending on the branch and activity of the service provided or goods offered (eg, a local health certificate required for food and beverage serving). As an exception, the tax legislation provides the figure of authorised service provider (PSA), which refers to the entity authorised by the Tax Administration Service (SAT) and hired by an operator or permit holder that provides the technology infrastructure, the computer systems or the services required to permanently obtain the information of each and every one of their machines or gaming terminals, monitoring operations performed live or remotely, consulting online data and the filing of reports to SAT; as well as the administration of the information and or data stored in the aforementioned systems. Also, there are entities called verifying bodies, which are responsible for ensuring that the PSA suppliers’ reports comply with the Regulations, in order to assure that the computer systems are able to provide SAT with the complete information of the central betting system, as well as the cash and cash control system, and comply with the requirements of security, reliability and inviolability of the process and the deliverable product, which also requires being duly authorised by SAT. If licensing is not required, is there a registration or other process suppliers are subject to, and what triggers that process? Some suppliers of goods are required to certify their products. For example, the suppliers or manufacturers of gaming machines have the obligation to certify their machines in compliance with Official Mexican Standards, such as NOM-024-SCFI-2013 for commercial information for instructive packaging and guarantees of the electronic, electrical and household appliance products; and NOM-001-SCFI-1993, related to electronic appliances, household electric powered appliances, sources of electrical energy, safety requirements and test methods for type approval. What considerations arise in developing a casino resort project that are not typical to other resort development? As a general rule, casino resort projects do not require special or different approval from a typical resort development, beyond the licence required for the operation of a land-based casino. In other words, for both cases, the same authorisations will be required for the operation and installation, whether federal, state or municipal, such as the construction licence, civil protection authorisation and environmental licences, among others. However, in the operation and installation of a casino resort, besides the necessary authorisations for its legal construction and operation, the casino must have a licence for the operation of a land-based casino granted by SEGOB. Another fundamental document that a casino needs for its operation is a local (municipal) approval or favourable opinion. SEGOB has announced its intention to bring up a huge project for the creation of casino complexes in areas such as the Riviera Maya, Nayarit and in Baja California, with the purpose of promoting tourism in those areas. Are there particular rules governing hours and wage treatment for casino employees? By law, employees have to be paid at least the legal minimum wage. Minimum wages are established on a yearly basis taking into consideration the annual inflation rate for the country. The current minimum wage is 88.30 Mexican pesos per day. The maximum work week is 48 hours for a work week consisting of day shifts, 42 hours for night shifts and 45 hours for mixed shifts. The work week consists of six working days, although the daily or weekly distribution of hours can be arranged by agreement so that employees have all or part of Saturday and Sunday as normal days off. Employees are entitled to at least one day of rest with full pay for every six days of work, and it is expected that this day would normally be Sunday. Employees required to work on Sundays (as a regular work day) are entitled to receive an extra bonus of 25 per cent of a normal day’s wage. An employee can only be required to work overtime in special cases, and for doing so must be paid overtime equal to double pay for overtime of up to three hours in one day, up to a maximum of nine hours per week. Beyond this limit, triple the normal salary must be paid for each hour of overtime worked. Must casino employees be members of labour unions or similar organisations? There are no special obligations for workers of casinos to be members of labour unions. Notwithstanding the above, generally, it is usually preferable that a company operates with a union representing its workers rather than without one. Having a union in Mexico, for example, provides an advantage to an employer under Mexico’s labour law, if there is no union agreement in force at a given facility, any union may claim at any time to represent the employees of the plant and serve a strike notice demanding that the employer sign a collective bargaining agreement with that union. It is not necessary for the union to actually prove that it represents the majority of the workers at the plant. To take advantage of this, an employer may choose to recognise and sign a collective bargaining agreement with an inactive union. This has been a common practice in Mexico for more than 20 years. This practice forces any other union desiring to be certified for the employer’s operations and to effectively take over the collective bargaining agreement to first prove that it represents a majority of the unionised workers. It is, of course, necessary to be careful in the selection of the appropriate union with which to agree to execute a collective bargaining agreement. How are licensee changes of control, and substantial changes in shareholdings of licensees, addressed? Both permit holders and operators (the latter always through the permit holder) are obliged to inform SEGOB of any transfer or assignment of shares or equity interest of its capital stock, or any modification of the percentage of participation of its partners or shareholders, as well as the modification of the shareholding of the shareholders of these until the last beneficiary. Such obligation is applicable to any change in the shareholder composition of the permit holder or operator or of the shareholders or partners of these, regardless of the vehicle used, either through capitalisations, capital decreases, splits, mergers or other corporate practice in which other companies mediate between the permit holder or operator, shareholders, partners and past beneficiaries. This is not necessary in transactions carried out through the Mexican Stock Exchange in which the transaction does not imply a change of control in the permit holder. How are gambling licences treated in bankruptcy? The Mexican legislation does not specifically consider the term ‘bankruptcy’; instead, the Commercial Bankruptcy Law establishes ‘mercantile insolvency’, which is a judicial process where all creditors of the company must appear to demand their rights. The mercantile insolvency procedure begins with the resolution issued by the judicial authority that determined the legal origin of it. This resolution must necessarily contain the requirements established in article 43 of the aforementioned law. Regarding games and raffles, a creditor cannot be awarded or adjudged a federal permit because these are not transferable, as established in article 31 of the Regulations. It also cannot be subject to encumbrance, assignment, transfer or sale. In addition, if a permit holder or any of its shareholders or beneficiaries is declared insolvent, SEGOB will automatically, in accordance with articles 34 and 151 of the Regulations, extinguish or revoke the permit and, if applicable, will close the casino. In the other hand, creditors who have the right to receive a payment of a debt from the permit holder, they must claim and obtain the acknowledge of their credit, and queue up to obtain their payment against the assets or rights of the debtor (permit holder). How are forms of ‘quasi-gambling’ regulated? Are any treated as ‘gambling’, and what triggers such treatment? The term ‘quasi-gaming’ is not defined by the gambling legislation. However, article 15 of the Law establishes that all the games held in private homes (social games) for the sole purpose of entertainment or as occasional hobbies shall not be included under gaming regulation, provided that these games are not practised regularly and the participants have family relations or close social connections with the owners or residents. Similarly, and in accordance with article 2 of the Law, only the games described in such article may be allowed throughout the national territory (see question 1). Does your jurisdiction license quasi-gambling operators? As mentioned above, the terms ‘quasi-gambling’ and ‘quasi-gambling operators’ are not defined by law. Does your jurisdiction impose other restrictions on the conduct of quasi-gambling activity, including restrictions on advertising, age of participation, limitations on prizes, etc? As mentioned above, the term ‘quasi-gambling’ is not defined by law. What, if any, significant litigation involving the gambling or quasi-gambling sectors has your jurisdiction seen in recent years? Over the past few years, there have been some significant disputes that have been relevant for the gaming industry in Mexico. An example of this was the disputes that took place between three or four permit holders with SEGOB, and a permit holder and an authorised operator, which culminated with the declaration of ‘revocation’ of their respective permits and the closure of more than 40 establishments. The origin of these disputes was, among others, the assumed use of altered or false documents. The order of definitive closure of the facilities resulted in significant losses not only for the owners of the venues and employees, but also for suppliers such as the manufacturers of the machines and owners of the establishments, since suppliers are not allowed to immediately recover their machines or the legal possession of the leased real estate. 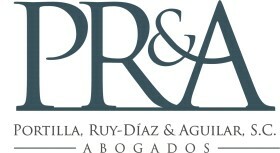 Portilla Ruy-Díaz y Aguilar SC (PR&A) is the result of the union of a group of experienced lawyers who, motivated to create a firm of specialists in several areas of the law and aware of the needs of a market ever more demanding of more personalised, practical, effective and fairly-priced comprehensive services, combined their talent, skills and enthusiasm to establish this firm, so as to offer and provide comprehensive services in gaming, corporate, real estate, contracts, foreign investment, mergers and acquisitions, intellectual property, commercial and civil litigation, consumer protection, arbitration, risk-preventive consulting, labour (both individual and collective), tax litigation and consulting, foreign trade, immigration, transportation, bankruptcy, administrative law and relief proceedings areas.